When you make changes to a file or document stored on Webdrive the software will attempt to upload those changes to the remote file server. In the event that the upload is interrupted or unsuccessful the default behavior is to take a backup copy of that file to a folder on your computer, in order to protect any changes you have made. 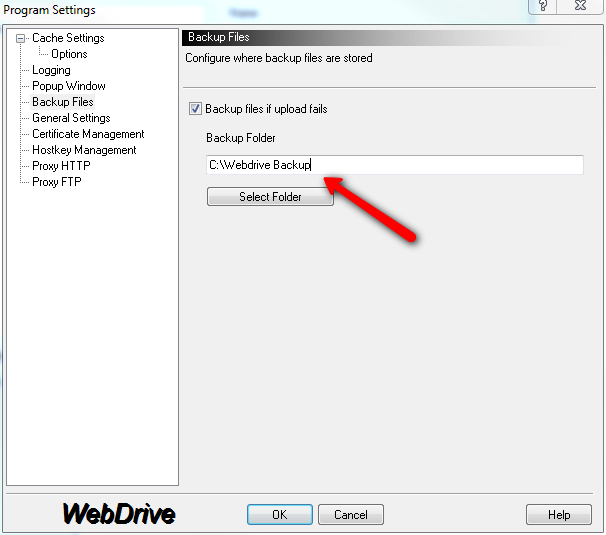 If you are missing files that you have edited and they are not located on Webdrive, you can can sometimes find these files in the Webdrive backup folder located on your computer. This tutorial illustrates how to locate your backup folder and files. 1. 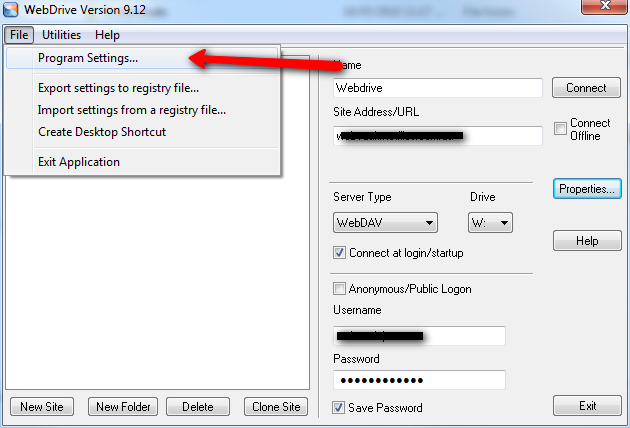 Determine the backup folder location by opening Webdrive from your desktop icon or Windows Start/Programs menu. Click on Program Settings. 2. Click on the Backup Files branch, and the locate the Backup Folder field. Take note of the backup folder path, then use My Computer or Windows File Explorer to navigate to your backup folder on your computer. The backup folder path will be different on each persons individual computer.